What books hold a special place in your heart? I read a lot of books. Some of them I forget about almost straight away, but others stick with me long after I’ve turned the last page. There are only a handful, however, that have a lasting effect on me and hold a special place in my heart. Some books feel as if they’ve been written just for you, like my favourite children’s book, Inkheart by Cornelia Funke. As soon as I started reading it I knew that I would love it, and the more I read it, the more I felt like Cornelia had written it just for me. She felt exactly the same about books and stories as I did and it was like she had put the thoughts and feelings inside my head down on paper. I can’t tell you what I was doing or where I was at the time I first read it because I was completely caught up in the story and didn’t want it to end. My favourite adult book, The Shadow of the Wind by Carlos Ruiz Zafon, also had this effect on me. I’m going to meet him at the Auckland Writer’s Festival in a couple of weeks and I think I’ll probably die of excitement just listening to him talk. Some books unsettle you and creep in to your head so that you can’t stop thinking about them. Alex Shearer’s The Speed of the Dark was one of those books for me. I can’t remember much about the story (I will have to reread this again soon) but the sense of mystery and feeling of unease I got while reading has stuck with me for many years. Some books just wrench your heart out, by putting you in to the head of a character that faces some horrific situations. I’ve just finished reading Morris Gleitzman’s books about Felix, Once, Then, Now and After. These were books that I had been meaning to read for a while but hadn’t got around to reading. Last year one of my best friends, who is a school librarian, told me I had to read Once. I did and I’m incredibly grateful to her for making me do so, as this book (and it’s sequels) had a huge impact on me. 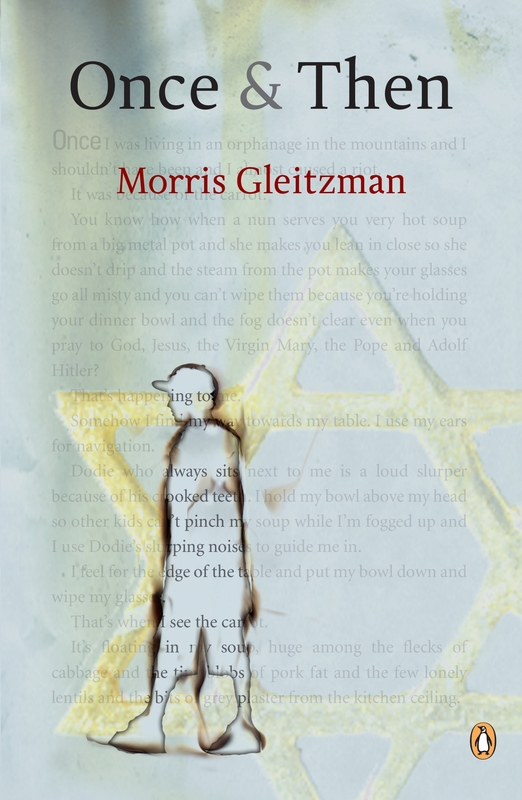 Morris Gleitzman is a very talented storyteller, who can write incredibly funny stories as well as incredibly sad and moving stories. Morris’ stories of Felix’s fight for survival in Poland during World War II are heartbreaking and I know that I will always carry these stories in my head and my heart. Once, Then, Now and After are stories that everyone should read. I’ll be meeting Morris Gleitzman at the Reading Matters Conference in Melbourne next month and I’m sure I’m not the only one who will be telling him how much I love these books.